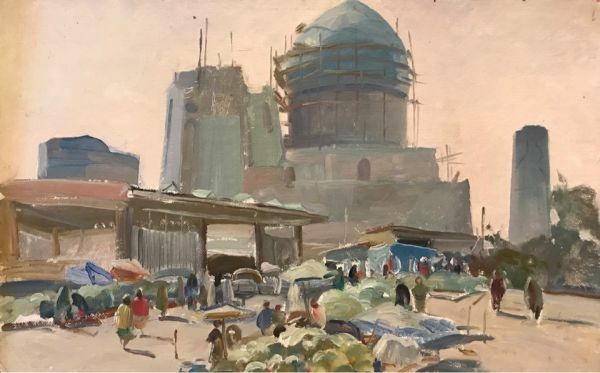 Buy works – Brynskikh Boris Aleksandrovich | (1924-1998). Soviet painter and graphic artist, professor. Honored Artist of the Uzbek SSR. He graduated from the Republican Art School in Tashkent (1948). Participant of exhibitions since 1954. The artist's works are kept in a number of museum collections, among them the State Tretyakov Gallery, the State Museum of Art of Uzbekistan (Tashkent), the Bukhara Museum of History and Local Lore; in art galleries in Austria, Finland, France, Japan; in private collections, including in the USA.